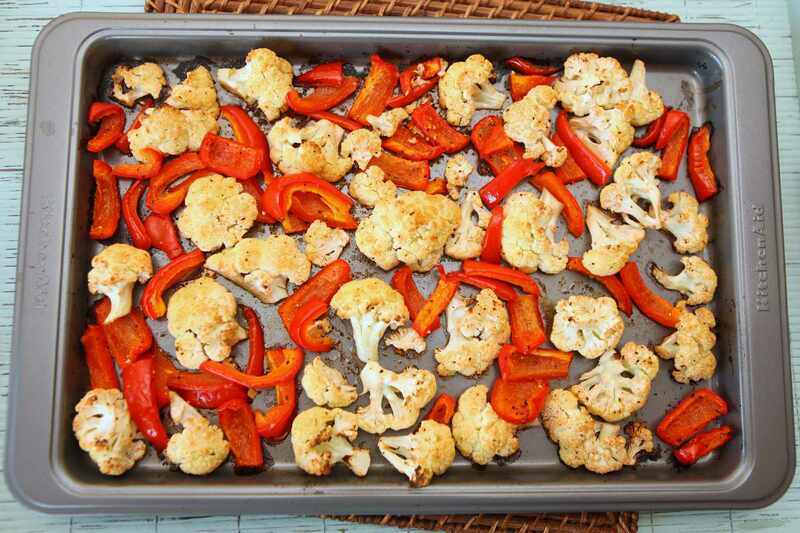 Tasty and easy to make Roasted Cauliflower & Red Peppers. This side is so delicious, my toddler even loves it! In a bowl, toss all ingredients until well combined. Line florets and red peppers on a baking sheet and roast for 30 minutes or until tender.